Few cars have captured the public imagination quite like the Renault Clio. This city car is focused on providing seductive styling, agile handling that makes it a breeze to drive in the city, along with a well-made and comfortable interior that's a pleasure to spend time in. Low running costs also make the Clio an ideal choice for drivers on a budget. 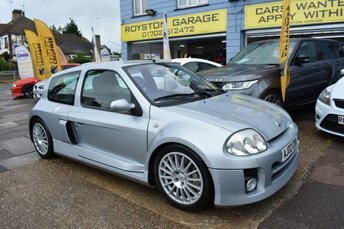 Why not come and explore the latest range of used Renault Clio models for sale in Southend-on-Sea by paying a visit to Reynolds Motor Group. At our showroom you'll find an excellent selection of used cars, with options to suit every budget. Finance is available to UK residents aged 18 years or older, subject to status. Terms & Conditions apply. Indemnities may be required. Other finance offers may be available but cannot be used in conjunction with this offer. We work with a number of carefully selected credit providers who may be able to offer you finance for your purchase, commission may be received. We are only able to offer finance products from these providers. Postal Address: Reynolds Motor Group, Royston Garage, 456 Sutton Road, Southend on Sea, Essex SS2 5EZ. Find contact details here.